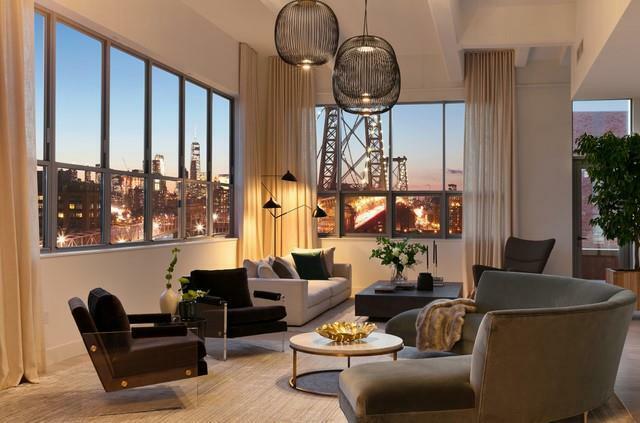 The penthouse at 338 Berry in South Williamsburg offers an incredible 42-foot living room with walls of windows that overlook the East River and downtown Manhattan skyline. This 2,574 SQ. Ft.. with south, west, and eastern exposure features four bedrooms, three and a half bathrooms, and comes complete with your very own large private terrace off the great living room. Converted from an early 20th-century factory, 338 Berry Street is a fortress of thick concrete floors and striking columns. 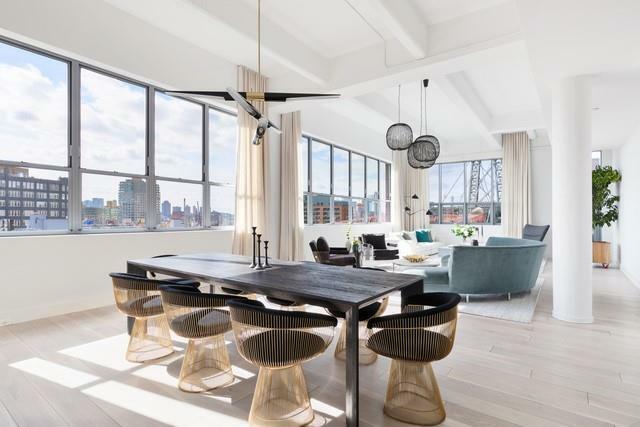 This penthouse loft offers oversized, voluminous spaces that stay true to the character of the building and the neighborhood's manufacturing heritage. With over 12' ceilings, exposed beams and massive windows, this loft penthouse is a unique and sun-filled refuge with protected city, bridge and water views.Reimagined for 21st century entertaining, the lofts at 338 Berry feature only the highest quality finishes, including Liebherr and Bertazzoni appliances, custom built Italian cabinetry, stunning slab countertops and backsplashes, and beautiful 7" white oak flooring. Offering a quality of finish unlike any other product in Williamsburg, 338 Berry must be seen to be truly appreciated.Located in South Williamsburg- an area known for its striking loft buildings- 338 Berry is ideally situated close to some of the best restaurants, bars, shopping, and fitness destinations in the city: Diner, Barano, Marlow and Sons, Aska, Miss Favela, Peter Luger's, Baby's All Right, Whole Foods, Equinox, Soul Cycle, and Sweetgreen just to name a few. The east river ferry and the (J, M, Z) train over the Williamsburg Bridge are all just a few short blocks away. 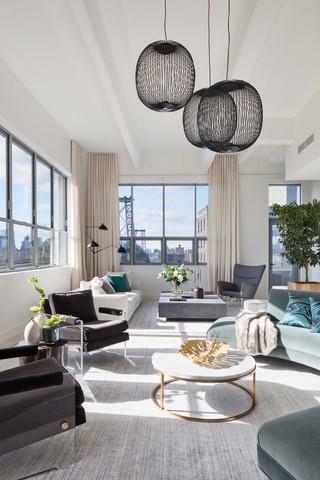 338 Berry is the ideal choice for any buyer looking to enjoy living in Williamsburg without the concern over the 15 month closure of the L train. Over 90% sold and already occupied, 338 Berry is complete and ready for closings. 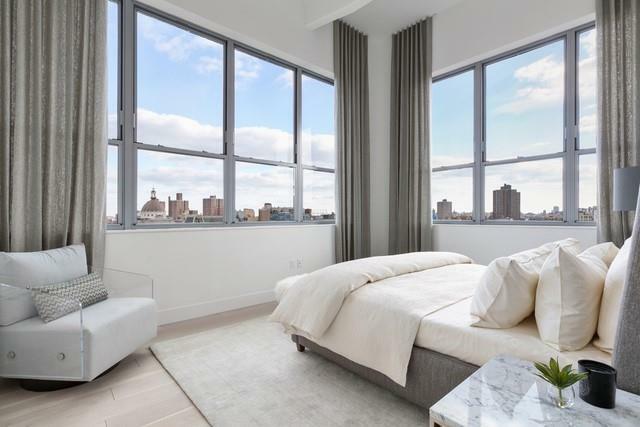 In addition to the doorman, building features include a private gym (including a Peloton Bike), garden with fire pit, bicycle storage, an exquisite rooftop lounge and massive roof terrace. The newly opened DOMINO PARK is two blocks away which hosts 6 acres of green space featuring a waterfront esplanade, dog run, playground, bocce court and a taqueria by Danny Meyer. THE COMPLETE OFFERING TERMS ARE IN AN OFFERING PLAN AVAILABLE FROM SPONSOR. FILE NO. CD-14-0319.